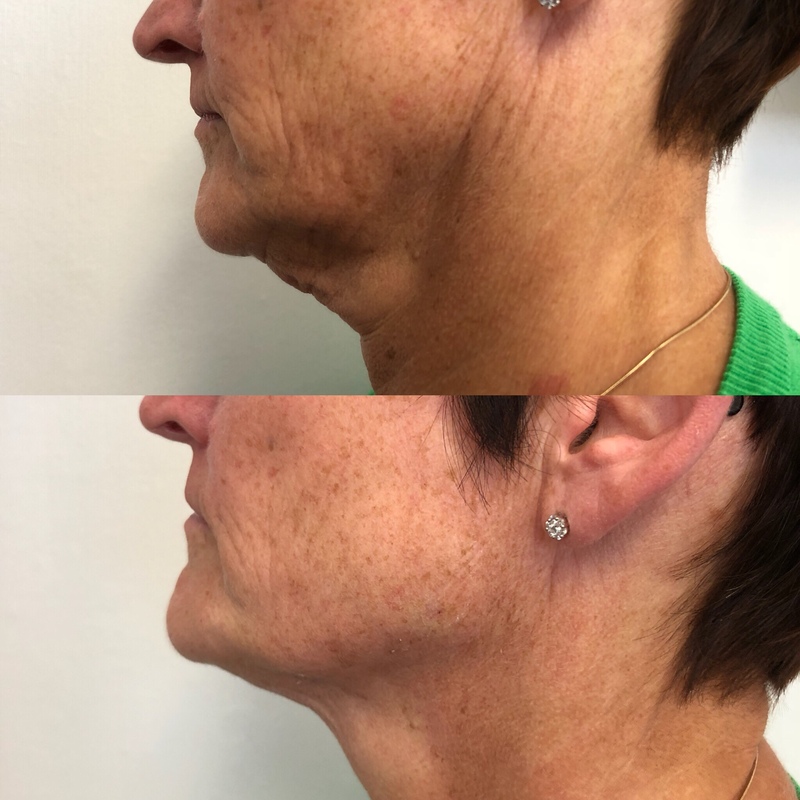 Treatment of a 60 year young jawline and neck. 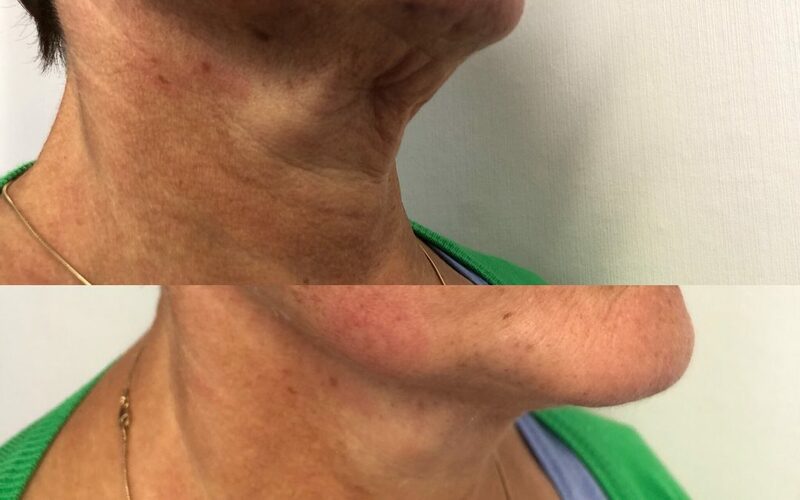 Jawline treated with Restylane using a fine blunt microcannula, no needle. Profhilo used in neck, using plasma shower and new transdermal delivery…..no needle.